• Welcome to your Saturday edition of The Purge. Thought the Katy Perry ‘Chained To The Rhythm’ project may already be going off the boil? Think again. 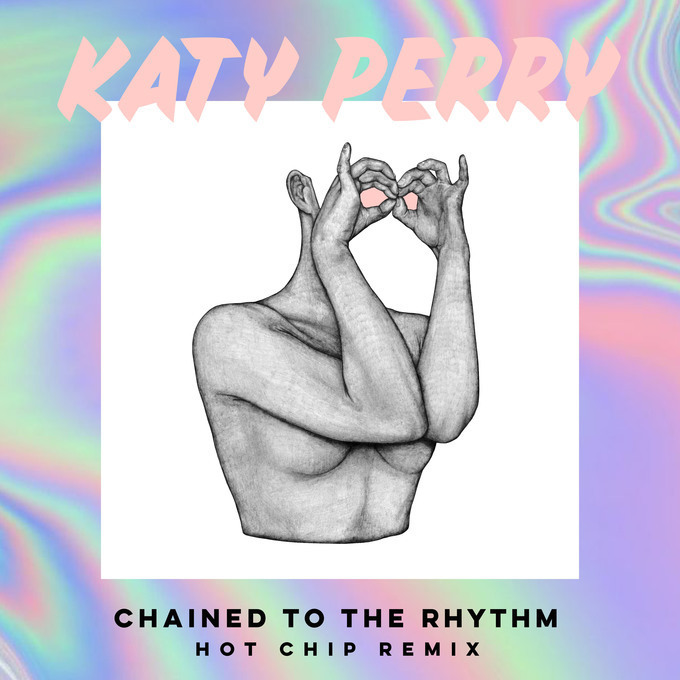 It seems the US pop superstar and her team has a little something more up their sleeves; the Hot Chip remix. The new version was serviced to Australian media yesterday. • Australian Music Week will be back at Cronulla Beach in Sydney later this year. In its third year, the event will again connect industry boffins, artists and fans in the hope of celebrating our extraordinary local industry. Showcase applications are now open, while conference tickets will go on sale on Tuesday May 02. Australian Music Week will take place on Cronulla Beach from November 01 – 03. 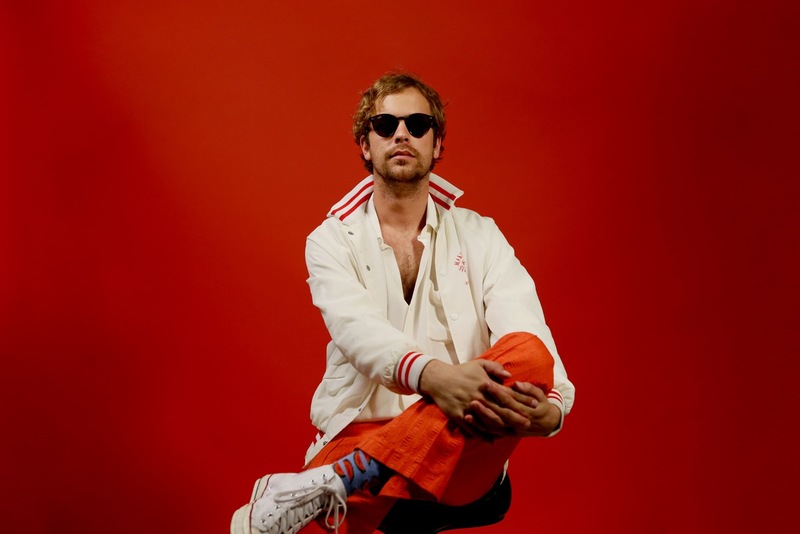 • The guys from Pnau popped up in Newcastle on Thursday night for a surprise show to relaunch the city’s iconic Cambridge Hotel. They played a series of tracks from their upcoming album, including their first ever top ten smash ‘Chameleon’. “To be perfectly honest, Newcastle has always kind of been our spiritual home so it seems to be the perfect place to re-birth this entity,” Nick Littlemore said of the gig. • Aussie performer Mark Vincent will release a new album next month. 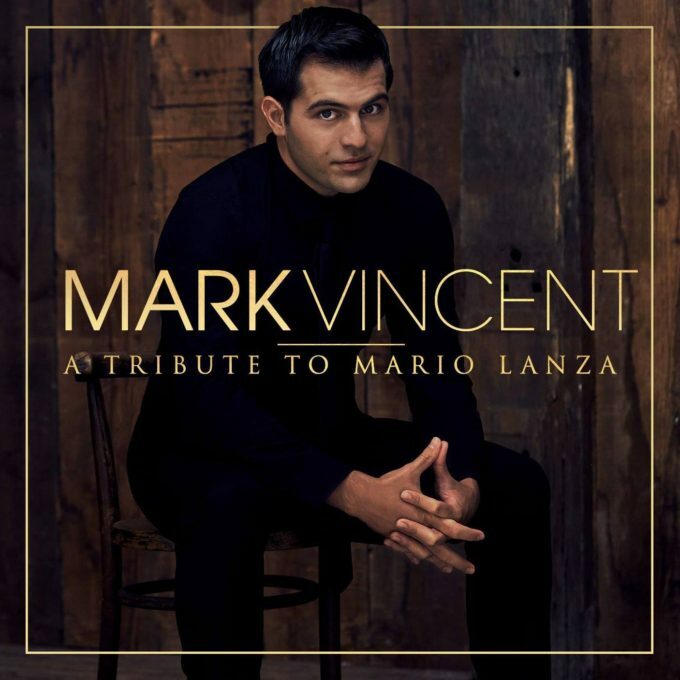 ‘A Tribute To Mario Lanza’ does precisely what it says on the box; paying tribute to the famed American tenor with an album full of his classic hits. There’s even a virtual duet between the pair; on the late singer’s classic hit ‘Because You’re Mine’. It’ll land in retailers across the country on Friday April 14. • The Cranberries are back with a new album to celebrate their 25th anniversary. Due at the end of next month, ‘Something Else’ sees the band dipping into their 25 year archive and reinterpreting some of their classic hits, including ‘Linger’, ‘Dreams’ and ‘Zombie’, as well as serving up some fresh new material. It’s due on Friday April 28. • Also celebrating a milestone is Mark Seymour. 2017 marks the 30th anniversary of the start of his songwriting career, so he’s dropping a retrospective collection entitled ‘Roll Back The Stone’, which is out on March 24. In addition to said release, he’ll then be hitting the road with his band The Undertow to perform tracks from his extensive back catalogue. Shows are locked in for June and July in Sydney, Melbourne, Brisbane, Perth, Adelaide and Hobart; tickets are on sale from 10am local time this Friday, March 24. • Gum’s upcoming national tour is growing quickly. The Tame Impala player has added a second Melbourne show (March 29 at the Curtin) and a new Perth show (March 26 at The Bird) to cope with demand, but has also upgraded his venue in Sydney to the Oxford Art Factory, all to showcase his recently-released album ‘Flash In The Pan’. • Fans who missed out on tickets to see Elton John at his Wollongong, Cairns and Mackay shows might be in luck, with Chugg Entertainment releasing final tickets for the pop legend’s three shows. The tickets, however, are extremely limited and they’ll go on sale this Monday, March 20. • Severe weather across southern New South Wales has resulted in the postponement of today’s Red Hot Summer Tour show (featuring John Farnham, James Reyne, Daryl Braithwaite etc) at the Kiama Showground. The south coast township received more than 120 millimetres of rain in in a 24 hour period just a couple of days ago and with more showers forecast today, organisers have seemed the venue unsafe. The rescheduled date will take place on Sunday April 09. • There’s virtually no change in Ed Sheeran’s fortunes on this week’s UK top ten singles chart; staggeringly, he still holds nine positions in the UK top ten, including top spot for the tenth successive week with ‘Shape Of You’, the lead single from his latest album ‘÷’. Three of the other tracks from said album are still in the UK top 20 too, proving that there’s no slowing down sales and streams of Ed’s latest long player in its second week of chart action. Katy Perry’s ‘Chained To The Rhythm’ reverses some of last week’s slide, improving from No.17 to No.11. If it wasn’t for Ed Sheeran, Katy would be sitting at No.2. Martin Jensen’s ‘Solo Dance’ leaps from No.25 to No.12. Though it was sitting pretty at No.1 on the UK iTunes chart throughout the week, the new Steps single ‘Scared Of The Dark’ makes its way into the UK countdown on debut at No.37. 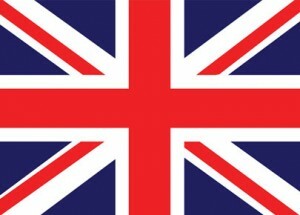 • Any guesses as to the No.1 album in the UK? Like we need to… It is, of course, Ed Sheeran and his album ‘÷’. We have a sneaking suspicion it’ll be in for a long stretch in top spot, with the rest of this week’s UK top five made up of Rag ‘N’ Bone Man’s ‘Human’ (No.2), Ed Sheeran’s ‘x’ (No.3), Stormzy’s ‘Gang Signs & Prayer’ (No.4) and the new Laura Marling album ‘Semper Femina’ (No.5 on debut). The Soft Cell/Mark Almond best-of ‘Hits And Pieces’ premieres at No.7, while new albums for Circa Waves and the ‘Beauty And The Beast’ cast recording just miss the top ten, premiering at Nos.11 and 12 respectively. • There’s no changing top spot in the US this week, what with Ed Sheeran’s album ‘÷’ also flying high on the Billboard 200 albums chart. So its lead single ‘Shape Of You’ is in pole position for a sixth successive week. Beyond there, however, Migos and Lil’ Uzi Vert are still at No.2 with ‘Bad And Boujee’, while Bruno Mars gains with his latest single ‘That’s What I Like’ (No.4 to No.3). There’s a massive jump this week, however for ‘Rockabye’ by Clean Bandit ftg. Sean Paul & Anne-Marie, which is up from No.24 to a new peak of No.9. Lorde’s ‘Green Light’, however, jumps even further; rockets even (No.100 to No.19). • Though not as pronounced as in the UK last week, the Ed Sheeran effect takes over the Billboard Hot 100 singles chart. The lead single ‘Shape Of You’, as mentioned, is still at No.1, but there are a number of other album tracks appearing on this week’s US countdown; ‘Perfect’ is new at No.37, ‘Castle On The Hill’ is up from No.75 to No.39, ‘Dive’ premieres at No.49, ‘Galway Girl’ is new at No.53, ‘Happier’ enters at No.59, there’s ‘New Man’ at No.72, ‘Supermarket Flowers’ at No.75 and ‘What Do I Know?’ at No.83. ‘How Would You Feel (Paean)’ re-enters at No.84 (after a previous peak of No.41) and there are further debuts at Nos.90, 93 and 96 for ‘Eraser’, ‘Hearts Don’t Break Around Here’ and ‘Barcelona’. That means 13% of the top 100 in the US this week belongs to Ed. • Naturally all this action over on the Billboard Hot 100 Singles chart can only mean one thing for the entry of Ed Sheeran’s third album ‘÷’. It’s new at No.1 on the Billboard 200 Albums chart on debut. His previous albums both jump as a result, though their chart results are nowhere near as pronounced as they were last week in both the UK and Australia. ‘x’, for example, is up 28 places, but only to No.21. His debut ‘+’ is up 79 places, but only to No.57. In contrast, both previous albums were top five in both the UK and Australia in the debut week for ‘÷’. Metallica gave the No.1 a good shot this week with ‘Hardwired… To Self-Destruct’, which leapt from No.14 to No.2, though they were presumably a long way behind Ed’s reported 451,000 unit sales. ‘÷’ is already the year’s biggest selling album Stateside – after just one week. Khalid’s ‘American Teen’ is the only other top ten debut this week; new at No.9. • And that will be all for your Saturday edition of The Purge. Don’t forget we’ll be back tonight as per usual with our weekly wrap of the Australian charts. It’s our ARIA Chart Watch and it’s live on auspOp each and every Saturday at 6pm AEDT.